Modeling civic responsibility for our children is more important now than ever. Right here in Red Hook, there are many organizations making a significant difference in the lives of under-served families that could use help. 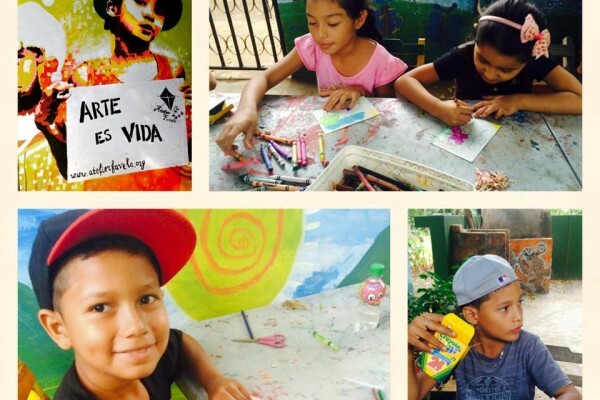 One of these great non-profits is the Red Hook Art Project, and it is located just two blocks away from BASIS Independent Brooklyn in a simple townhouse on a residential street. You have probably passed it on your way to or from the school, but you may not be aware of the great work being done inside. 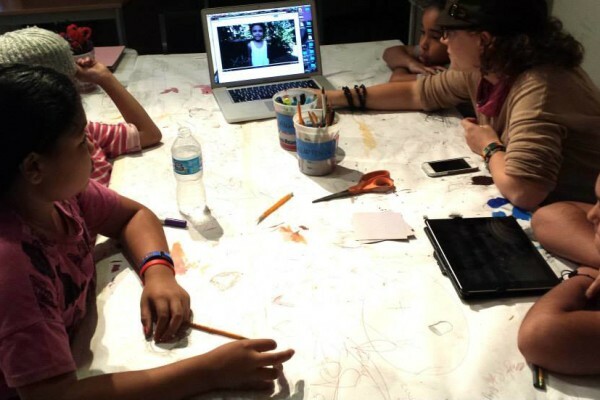 The Red Hook Art Project works with professionals to provide tutoring and mentoring for gifted, under-served children and youth. The orgnization offers free classes and tutoring in visual art, music and Homework Help. We spoke with one of our BASIS Independent Brooklyn parents Raphaelle Rico, who has been working tirelessly to encourage others to get more involved and volunteer. What has your experience been with volunteering with the Red Hook Art Project? RR: Volunteering with the Red Hook Art Project is really great - you get right into the thick of it. I have been working with two other parents from our school on their Homework Help program. You spend dedicated time each week helping one child with her homework, as well as hanging out with her and playing games to help her unwind and socialize. You really get to know the student you work with consistently each week. Sometimes there is a need to help one or two other kids as well, but that is the exception. I volunteer every Monday from 4pm to 6 or 7pm, and the Red Hook Art Project Founder and Director Deirdre Swords asks volunteers to commit to volunteer consistently to give their kids stability. Every time is different, depending on the kids’ state of mind, amount of homework, and individual schedule. How did you first find out that RHAP needed volunteers? RR: When I started spending more time in Red Hook with my kids attending BASIS Independent Brooklyn, I found out about Red Hook Art Project while researching volunteering opportunities related to the Red Hook Houses. I had the feeling that in order to be accepted in the Red Hook environment, our community of parents needed to reach out to the local community and see how we could get involved. Would you recommend that other parents get involved? How? RR: Volunteering with Red Hook Art Project is not for everyone - it takes a lot of time. Homework helpers commit at least one day a week, for a minimum of 2 hours, but it's actually closer to 3 hours that you end up spending there. Not everybody can volunteer so much time. I happen to live very near, have a flexible job and have someone taking care of my kids during the time I’m away at RHAP. But, there are other ways to help, parents can donate to the association. Red Hook Art Project is always in need of money to cover their various programs, pay for their rent, and help support their one amazing salaried staff member, Managing Director, Tiffaney Davis. Do you feel like you are making a difference? RR: One thing these at-risk, under-served kids really need is help to keep up with the tremendous amount of homework they bring home every night. Education is for most of them the primary way out of their difficult circumstances. Volunteering at RHAP provides help in the form of time, time and attention they often don't get at home. In this respect, I really feel like I'm making a difference for the young girls I’m helping each week. I wish I could do more though. Just like our own kids, these kids need attention and support every single day. It's hard to be only able to support them once a week! 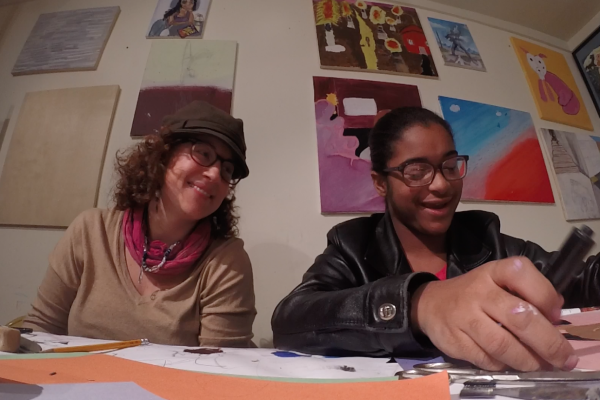 Join Raphaelle and other parents attending the Red Hook Art Project Social Mixer this Friday, February 3rd from 6-8pm at the organization at 183 Richards Street (two blocks from BIB). Tickets are $50 per person. There will be drinks, food as well as student art for sale. Register for the social mixer on the RHAP website. Find out more about how you can get involved!! Lenore Skenazy Encourages Parents to "Let Grow"
BASIS Independent Brooklyn Student Competing on MasterChef Junior!